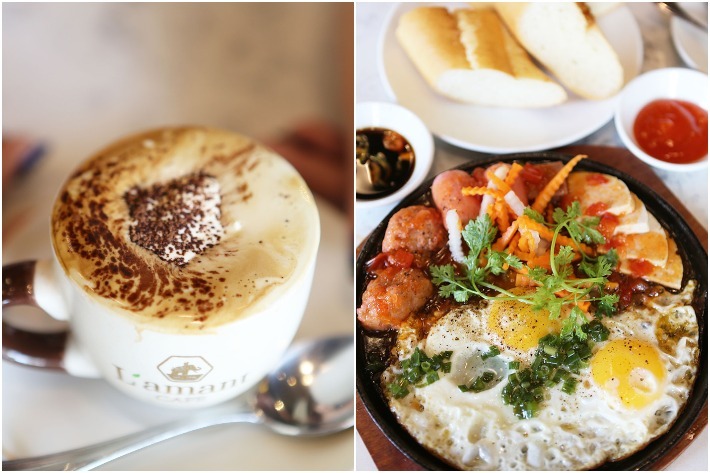 Craving a taste of Vietnamese coffee (after so long), we went right for the most unique item on their coffee menu—L’amant Egg Café (65,000VND, S$3.82). Floating above strong, black Vietnamese coffee is a sweet egg custard. The frothy custardy layer was sweet, eggy and creamy and it complemented the bitter coffee exceptionally well. 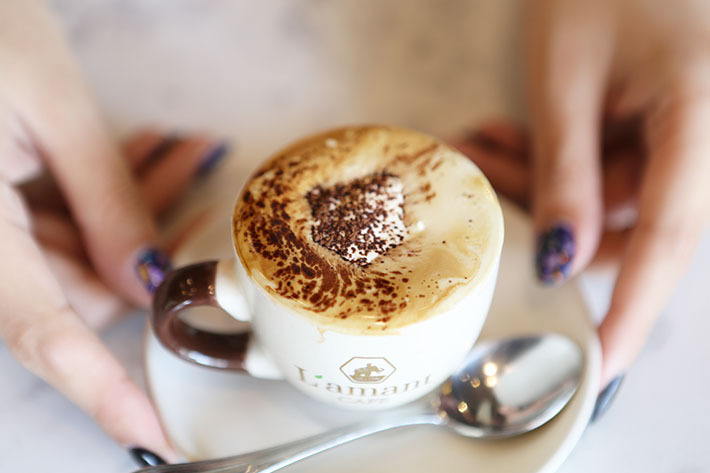 Having egg in coffee was something that we had never tried before and we were pleasantly surprised. 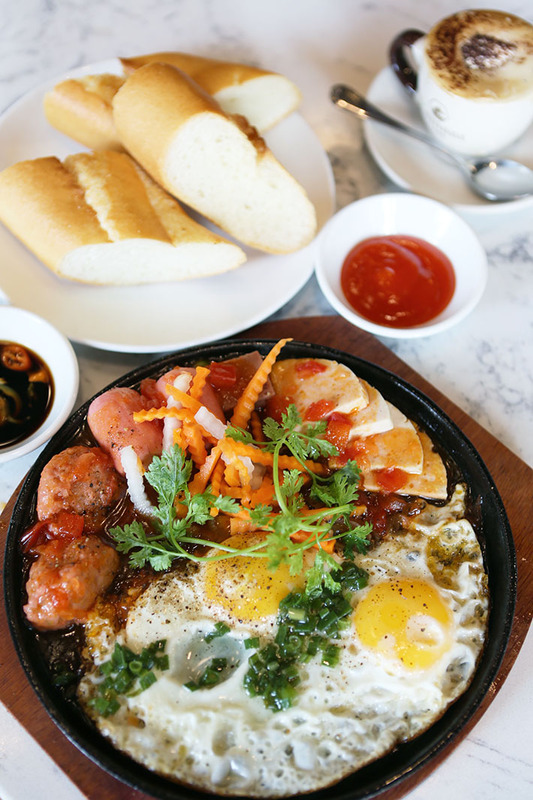 Costing us 90,000VND (S$5.30), this platter consisting of fried eggs, Vietnamese pork sausages, hams, luncheon meat, cilantro and pickled vegetables arrived at our table on a sizzling hot griddle. It is then accompanied by (you guessed it) a baguette. The dish was tasty and made for a pretty decent breakfast (and picture), but it was truly nothing exciting. We could have easily gotten a version that boasted similar flavour profiles on the streets for a fraction of the price. 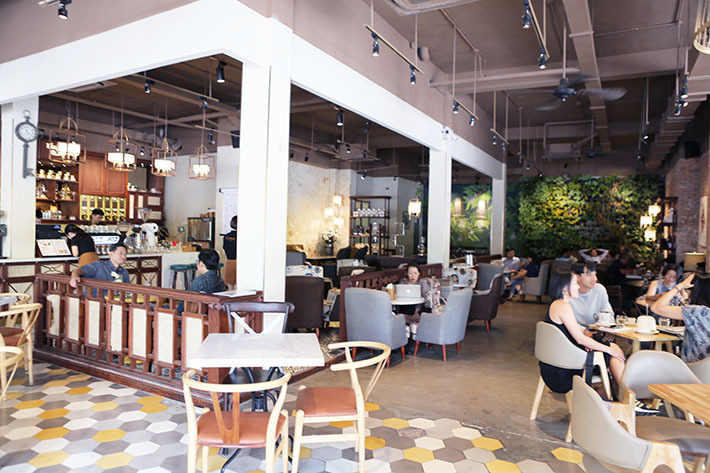 It certainly is a must to pop in for a nice warm cuppa before continuing on the rest of your trip in Ho Chi Minh City, or some cafe food too if you fancy it.